As leaders in bespoke farming machinery, you can rely on B.O.M Agriquipment for auger feed buckets, farming equipment, tractor attachments and more when you want to upgrade into serious farming. With years of experience under our belt we are able to transform the way you farm. Working throughout the Lincolnshire Districts and we have been lucky to support many up and coming and existing farming industries. With the ability to meet all of our client’s needs, no matter how big or small, we have seen many returning to use our services over time and recommending us to their peers. When it comes to auger feed buckets throughout we are the people you need to call. With various capacities, feed types and dimensions available, your next auger feed bucket design from B.O.M Agriquipment is sure to take your farming methods to the next level. From root and cereal feeders in all sizes to the standard auger feed buckets, you can discharge feed products with ease. As well as providing you with the leading manufactured designs, our highly skilled team of engineers in can provide you with bespoke machinery that is designed, created and delivered to meet your exact needs – right to your front door! We also refurbish many auger feed buckets and re-commission them to a much better quality. With versatility in mind, our team go above and beyond to bring an old feeder back to life and create something brand new ready for use on your farm. 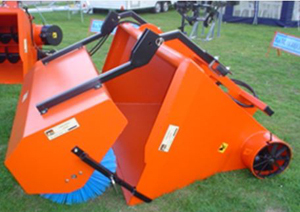 Call us on 01724 783 887 to find out how you can get your hands on auger feed buckets in today.